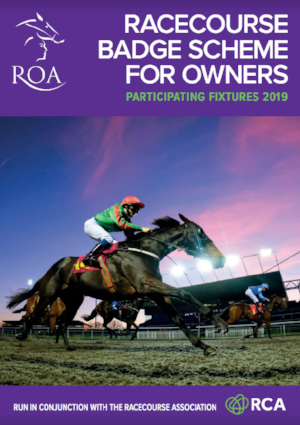 Published every December, THE ROA RACECOURSE BADGE SCHEME FOR OWNERS BOOKLET is circulated exclusively to over 6,000 racehorse owners who each own a minimum of 50% of one horse in training. The booklet contains details of all race meetings where these owners will be able gain complimentary admission over the coming year. As such, the booklet offers a cost effective opportunity to directly target these leading racehorse owners.